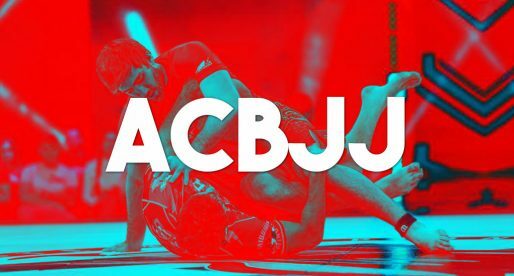 As the Eddie Bravo Invitational (EBI) continues to gather strength among jiu jitsu’s submission only movement, the promotion is steadily increasing its fan base and stretching its horizons to a broader range of grapplers. 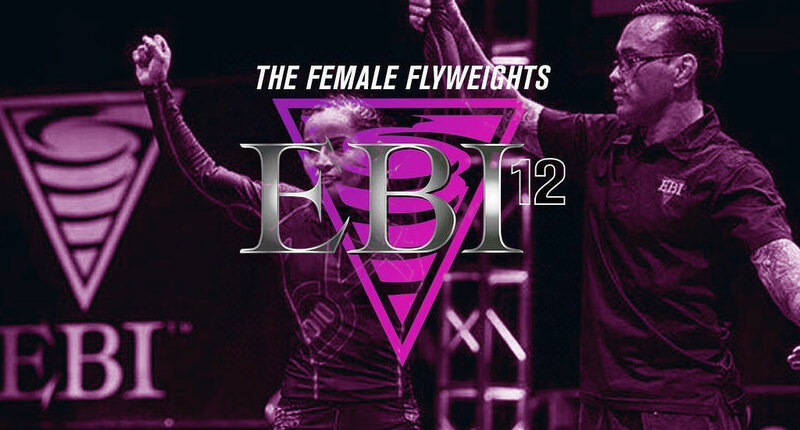 After successful incursions to the male bantam, feather, light, middle, welter, medium and light heavyweight divisions, EBI is now opening an exciting and brand new enterprise – the female flyweight division (125 lbs). For this first female tournament, Eddie Bravo will be headlining some of jiu jitsu’s most prominent flyweights in one of EBI’s most stacked events to date. Arguably the most accomplished athlete on the tournament’s brackets, Talita is no stranger to a big stage. At just 26 years of age there isn’t much left in the grappling world that Alencar hasn’t conquered, being the current IBJJF light-featherweight World Champion in both the Gi and No-Gi, as well as the Pans title holder. Talita also conquered this year’s UAEJJF Abu Dhabi World Pro championship. Originally from Theodoro Canal‘s academy in Rio de Janeiro (GFT Recreio) and now one of the head coaches at the Del Mar Academy in Califonia, Talita Alencar is known for her scrambly style. She is explosive and loves to hunt for the submission, a recipe that falls perfectly in line with the entertainment aspect of EBI. The former ballet dancer Patrícia Fontes is today a tough black belt under Lucas Leite, who has in her resilience and mindset her strongest weapons. 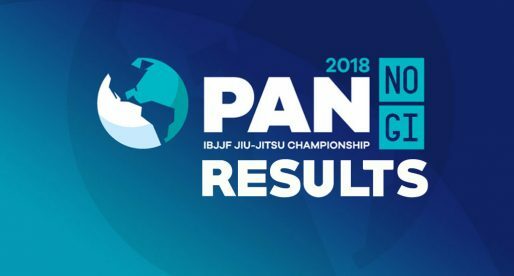 Pati’s continuous search for improvement has led her to important titles, particularly in the IBJJF No-Gi circuit, where Fontes holds two world titles. Fontes has a long history of matches against Kristina Barlaan, a rivalry that has been going on since the lower belt divisions of the sport. Barlaan is also on the tournament’s brackets and the potential clash between the two under these rules will certainly be one of the high points of the tournament – considering the two have never met in a sub-only type format. One of the craftiest guard players in the game, Kristina will arguably have the “cleanest” jiu jitsu on this roster. Well versed in both Gi and No-Gi jiu jitsu, Barlaan’s bigger wins have come from her gi work. As aforementioned, Barlaan has a long history with Pati Fontes, particularly in the lower belt divisions where the two met on numerous occasions. Since reaching her black belt status Barlaan had also a few historic clashes against Alencar, whom Kristina competed against on the IBJJF Pans final this year as well as on the World Championship semi final. Another ferocious competitor out of the Caio Terra camp is Tammi Musumeci. 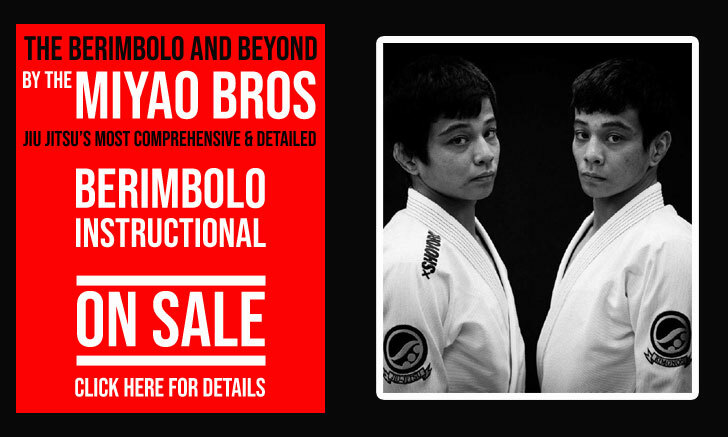 Tammi made a name for herself in the lower belt division of the sport, having in the berimbolo one her strongest weapons. Tammi fluctuates between the light and the featherweight divisions, making her one of the bigger athletes on the mat come July 30. Having been a black belt since 2014, Musumeci brings a ton of experience at the highest level in this sport, and will be competing as the current holder of the IBJJF Pan American title (Gi). One of the best known names in the female brown belt division across the US is Erin Herle, an athlete who is familiar with long distance travelling when in pursuit of the best coaches the grappling world has to offer. A former blue belt under Romulo Barral, Herle was promoted to purple by the legendary Cobrinha and would later earn her brown belt from another legend in Marcelo Garcia. Training with the best up and down the country, expect this young competitor to come into this EBI tournament 100% battle tested, regardless of her rank. Erin is also one of the main figures behind the Submit the Stigma (non profit organisation) and is a frequent freelance journalist and photographer for jiu jitsu related websites. Lila Smadja is a student of Eddie Bravo and an EBI veteran with titles in events such as the Gracie Worlds – a submission only tournament run by Rose Gracie. Smadja brings a different approach to grappling, instead of the old “Position Over Submission” jiu jitsu doctrine, Lila has a variety of submission chains resembling a catch-wrestling style of play with which she may catch a few of the traditional BJJ players – particularly when it comes to her leg-lock game. Having competed against Talita Alencar on two occasions at EBI, Lila Smadja has a 1×1 record over the world champion, Lila’s win coming via fastest escape in overtime. The dangerous 10th Planet brown belt will be gunning for the first EBI title and will be a crowd favourite. A student of Richie Martinez at the 10th Planet Freaks – one of the most successful academies under the 10P association, Katherine is also one of the youngest competitors on the tournament at just 18 years of age – an obstacle she will try to overcome with her tremendous talent. Katherine earned her spot on the tournament by winning the 10th Planet trials – an event set specifically for 10th Planet athletes who wish to compete in the EBI main event (all other spots are per invitation). Since her victory at the 10P trials, Shen has been awarded her purple belt. Another highly accomplished competitor on this tournament is Jena Bishop, an athlete with numerous medals in some of our sport’s top events. One of Bishop’s main accomplishments was her double gold (weight & absolute) at the European Open this year in the Master 1 black belt division, a remarkable achievement from a lightweight competitor. Although we do not remember seeing Jena competing in No-Gi recently, Bishop is a product of one of the most complete jiu jitsu programs in the world (Gracie Humaitá). One with consistent results on a multitude of grappling platforms, and we expect Bishop to be one of the stronger competitors in the event – and a dark horse in this race. A modern day renaissance (young) woman, Blanchfield embodies a “Yes We Can” attitude that will likely take her far in this sport and in life. At 18 years of age this jiu jitsu purple belt has in her double gold at last year’s IBJJF World No-Gi Championships (blue belt) her biggest win in this sport. Juggling between her academic life, her jiu jitsu (Gi and No-Gi) and kickboxing Blanchfield has her hands full, though being one of the youngest grapplers on the tournament she may not bare too much responsibility, a circumstance that may come to her advantage. We don’t have too much information on Watson who competes out of the Notorious MMA gym, where she coaches alongside Marcio Bittencourt. Watson is a black belt and has a silver medal at the IBJJF World Championship (albeit in a 3 competitor division). Although not a common presence in the IBJJF’s top tournament podium spots as of late, Pimenta arrives with the approval stamp of one of the very best coaches in jiu jitsu – Romulo Barral, from whom Tássia earned her black belt. Traditionally a Spider-Guard style of player, it will be interesting to see how the Gracie Barra Northridge representative will adapt to the No-Gi game in a submission only environment. One of the best known British grapplers and a black belt under Victor Estima, Vanessa English competes mainly in UK’s grappling circuit, and will be competing at Polaris 5 in London just a few weeks after EBI. Aside from her many British National titles Vanessa has conquered European titles in the purple and brown belt divisions, as well as an IBJJF world title (2013) at purple belt. In fact, Vanessa was the first UK athlete to conquer the all important Mundial gold medal in an adult division. A black belt under Mark Bradford, Romero has had 3 professional mixed martial arts (MMA) matches, with a 2-1-0 record (all wins by submission) and competed in professional BJJ events such as the Fight To Win Pro. We haven’t seen a whole lot of footage of Gabby, but she is a black belt under Alberto Crane‘s lineage, so expect her grappling to be top notch. 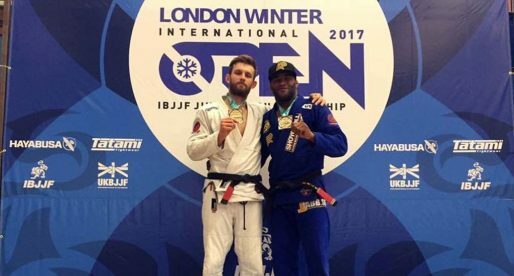 A recent addition to the brown belt division is Olympia, who is a regular presence in the international jiu jitsu circuit. A student of the gentle art under the illustrious Vinicius Draculino, Watts earned a bronze medal at the Pans this year. A savvy MMA fighter, Cummins comes out of the Gracie Fighter camp, same affiliation as some of the top cage fighters in the world such as the Diaz brothers, Jake Shields and Alexis Davis. Even though Rachael has had a short career inside the cage, she’s competed against the very best and will be bringing that MMA toughness to the EBI tournament, a frame of mind that has proven to be very fruitful under these rules. The most international athlete on the EBI tournament will be Polish-Australian black belt Livia Gluchowska, who competes out of the Maromba academy in Melbourne. A former gymnast, Gluchowska’s list of achievements is extensive having in her IBJJF world titles (Gi and No-Gi) in the brown and purple belt divisions her most eye opening trophies. Livia will be one of the smallest athletes in the competition, but will make up her size difference in speed, agility and experience.